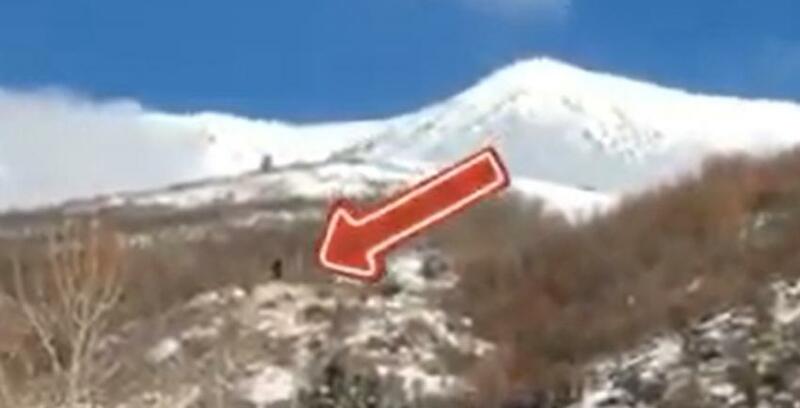 A group of travelers from the US went Hiking in the mountains in Utah to find Bigfoot. The fact that earlier one of the members of the expedition managed to capture in these places traces of this creature. A few days ago in the Internet appeared the video, which depicted a dark silhouette of Bigfoot, with an impressive size. An eyewitness claims that it could be Bigfoot. Later the man reached the place where was seen the creature, and found his tracks. The snow has time to melt, so that the prints were not clear. But the man is completely sure that they left the humanoid creature, tall. It can be assumed that this ordinary man caught on video accidentally or intentionally.